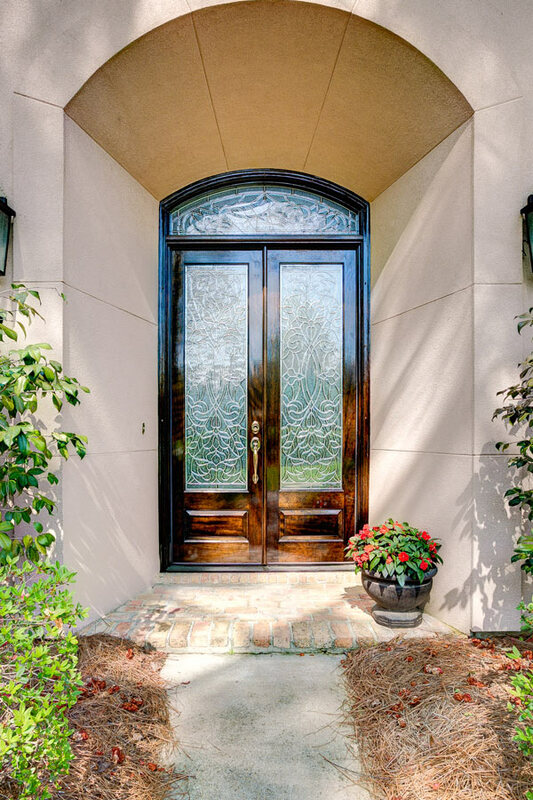 Three pieces doors at Doors of Elegance have two side panels that often let light in through a pane of glass for a brighter foyer in your New Orleans or Mandeville home. Three-piece units can really provide a more open, welcoming look to the area near your front door due to the additional light and the feel afforded by the glass panels. 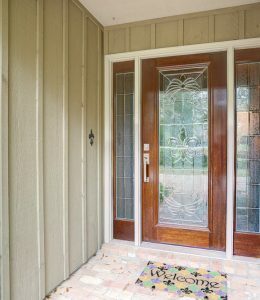 This makes these doors popular for a number of customers. There is a relatively limited selection of wrought iron three piece units, but there are some available. Wrought iron is a malleable but strong form of iron that has a granular look to it, much like the surface of wood. 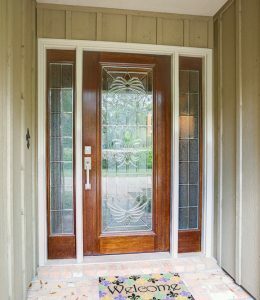 The Fleur de Lis Collection of doors includes beautiful doors with intricate Fleur de Lis designs etched or otherwise displayed on the door, typically in glass. A Fleur de Lis is a stylized lily, which can be used for a number of different symbols. It has been used for political, artistic, religious and symbolic purposes. At times it has represented royalty or been used on coats of arms and flags. It has additional symbolism in the New Orleans region, of course, as part of the logo of the beloved New Orleans Saints. There are some Fleur de Lis doors available in three-piece units. The beveled glass doors in our selection offer a great combination of intricate designs set into glass panes with still a large enough ratio of wood to glass to maintain a bit of an understated elegance. In addition, there are a number of options available in three piece units that have either light panes on the side pieces that are the height of the door, or close to it, or a portion of wood panel and a portion of light panel. This offers a great variety of options in shapes, designs and amount of glass included. 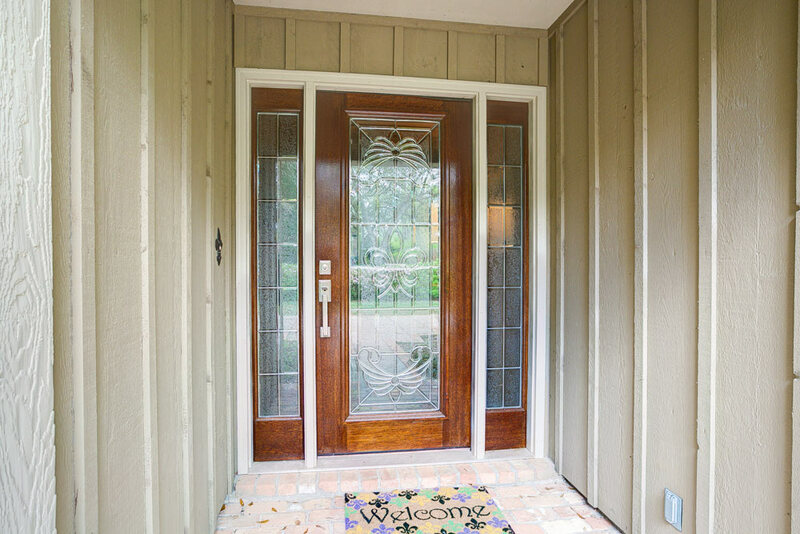 For security or style preference, some people may prefer to have less glass and more wood. Others may want the added light coming into their home and enjoy the appearance of the side panels that are primarily glass. Either way you have a number of options available to come see in New Orleans or Mandeville. 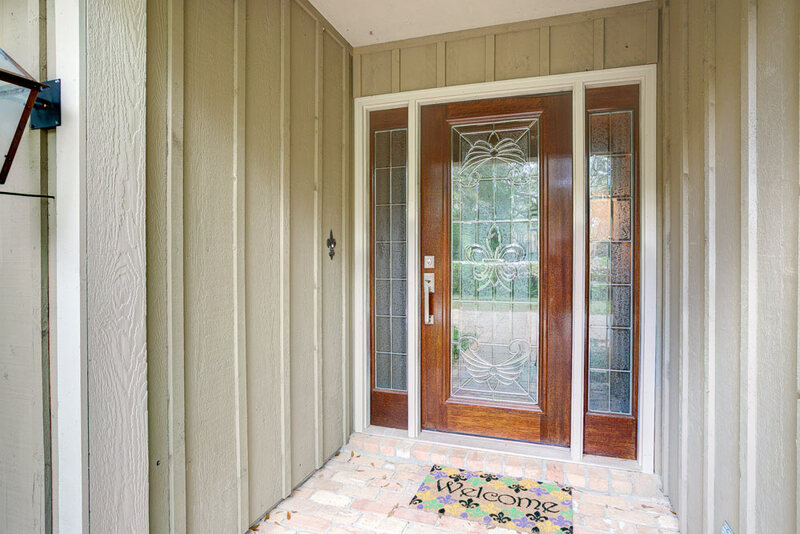 When considering wood doors, there are some options in which the primary door is entirely or mostly wood but the side light panels are made of glass in a three-piece unit. You may also consider a variation on the three-piece unit, which is a door that has one side panel instead of two. 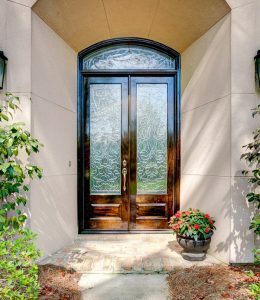 Materials available for these doors do include mahogany, which is a premium choice for many customers due to its physical qualities and beauty. 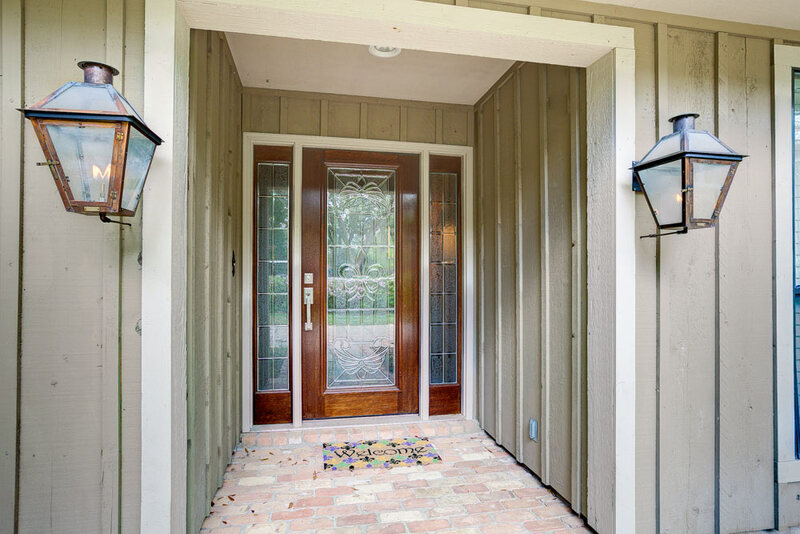 True Divided Light Doors provide a countryside feel to your home, offering a basic design that is still classy. In many cases this includes three-piece units that have panes of glass of varying sizes in the side panels. 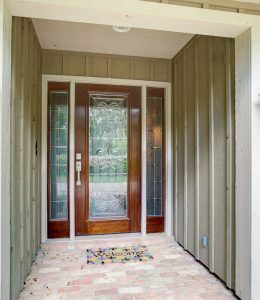 You can also find a three-piece unit with a horizontal glass pane above the door, stretching the full width of the entryway. This selection of three piece units makes a lot of sense for those who want the added light coming into their home and like the look of a three piece door, but do not want to see too many elaborate designs on their door and prefer a simpler, cleaner look.